“The Twelfth Green” is another view of Augusta National’s famous short hole, this time from behind the green looking back toward the tee and the 11th green. 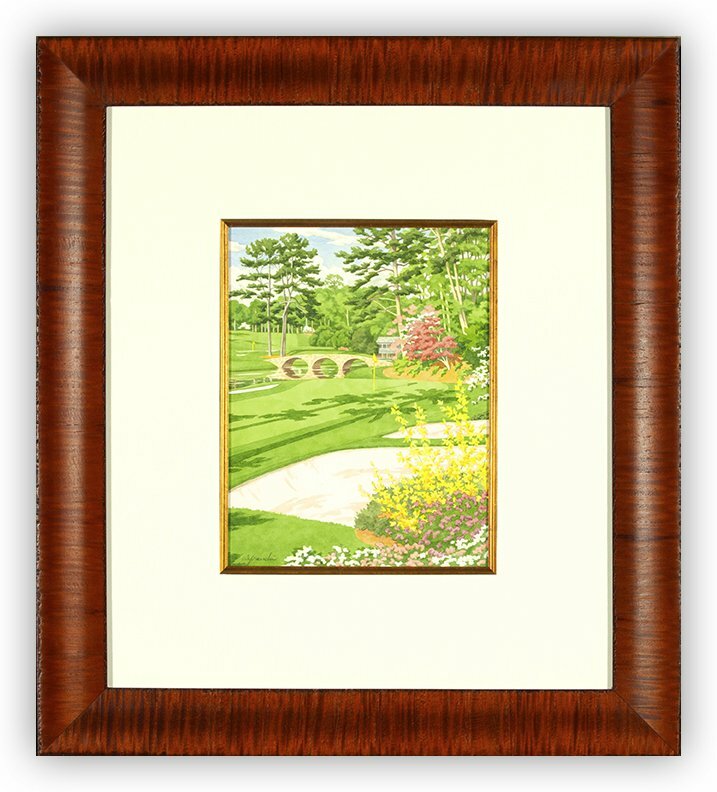 This artwork was created for the 2017 edition of The Masters and highlights the colorful azaleas and of course the Golden Bell. Custom framing is included.